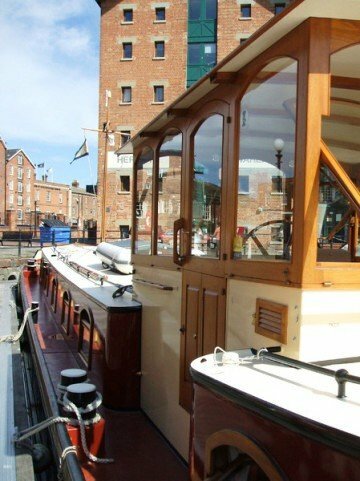 Chiselpig have a long history of building and using bespoke wheelhouses and are happy to renovate an existing one, or construct from new. By working closely with our clients and with our keen eye for detail and proportions, we have built a range of impressive custom-made wheelhouses – all of which are both very durable and fit with the existing boat style. All wheelhouses are designed with security in mind and can also be made to Category C standard (for those boats that are expected to be seaworthy). 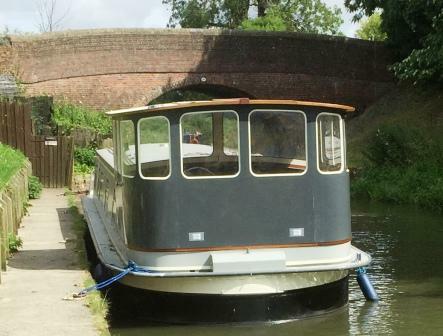 We recognise that customers need to take down their wheelhouses easily when on the move going under bridges, or if they want the full deck outside on a summer day. As such, all of our custom-made wheelhouses are designed and built to be de-assembled and re-assembled rapidly and single handed. All practical considerations are built into our wheelhouses. For instance, windows can be opened and doors are fitted with good security locks. Chiselpig use a range of materials – from the very traditional, teak designs right through to the curved and modern birch ply covered with a heavy exterior laminate – making them pretty much maintenance free. 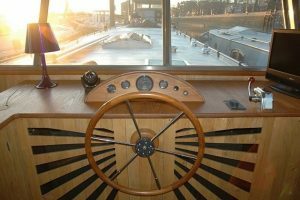 The more modern wheelhouse shown in this picture is unique to Chiselpig and is value for money, light and hard wearing. To find the best design for you, Chiselpig will discuss with you your needs and preferences taking into consideration any limitations imposed due to the shape, style and space available on your boat. 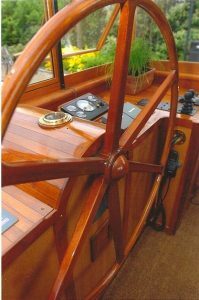 We will advise you on your best choice of timbers, to provide you with a wheelhouse that looks fantastic, works exactly as it should and will last for many years to come. 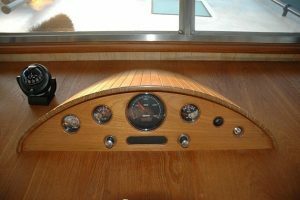 As these pictures show, Chiselpig can also design the interior of the new wheelhouse to fit with the rest of your boat. This includes hand-made unique panels for the controls and hand made ships’ wheels. 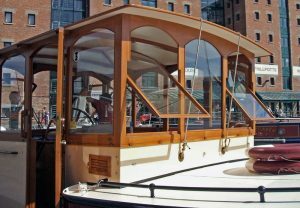 For more information about our bespoke wheelhouses, please contact us so we can discuss your ideas and make them a reality.